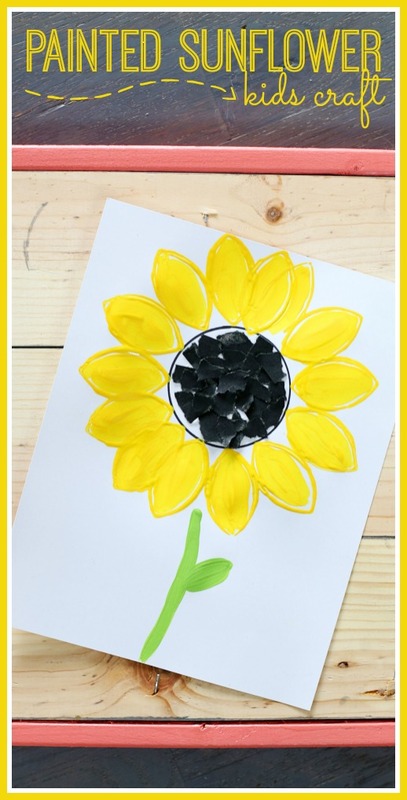 When you think Kansas you inevitably think sunflowers - we all love them, and so of course the kids need to craft them! 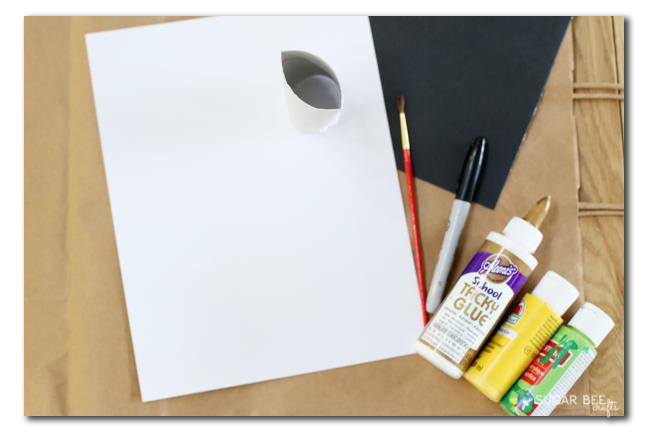 The kids will have tons of fun making and displaying their creations! 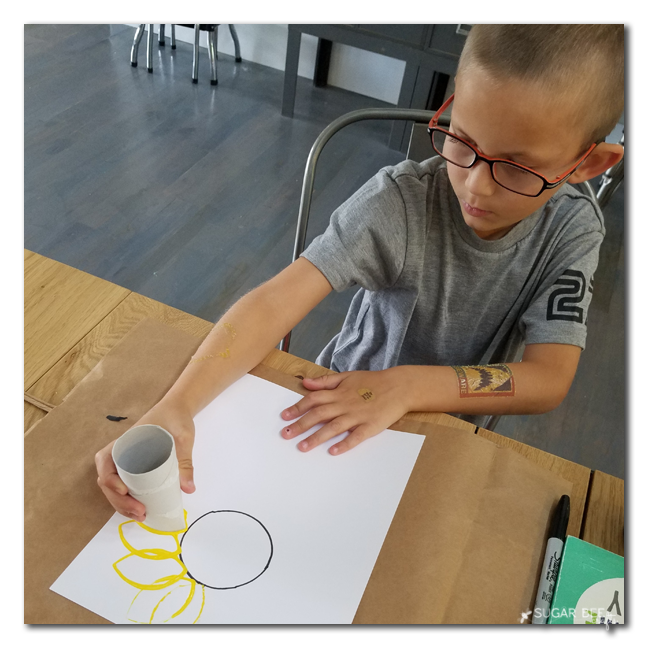 First draw a circle with the marker by either tracing a cup or a can, or freehanding the circle. 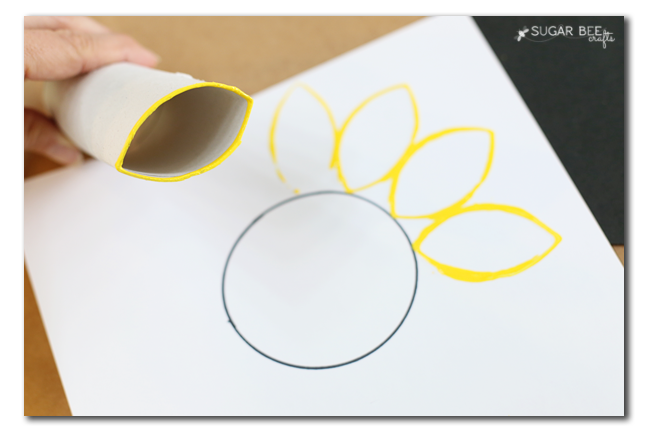 Then flatten one end of the toilet paper tube and crease the edges to create and oval. 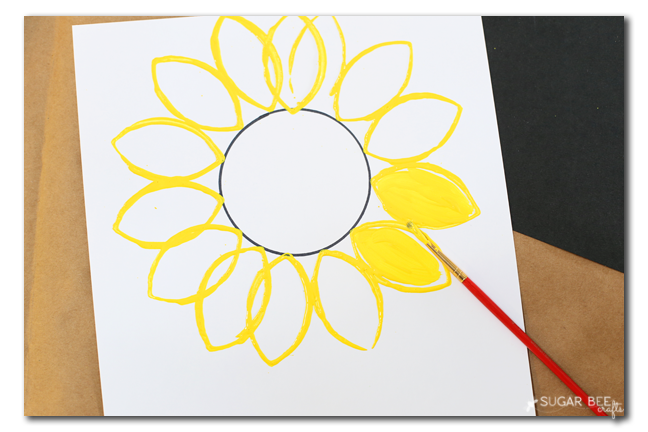 Dip the oval in yellow paint and stamp all the way around the circle to create outlines of petals. 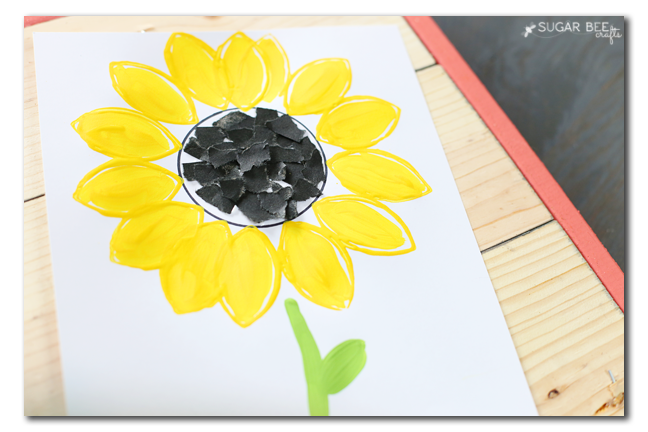 You'll want the petals pretty close together, but if it's not perfect, no worries, it's all about the fun! Next up, fill in the outlines with yellow paint. 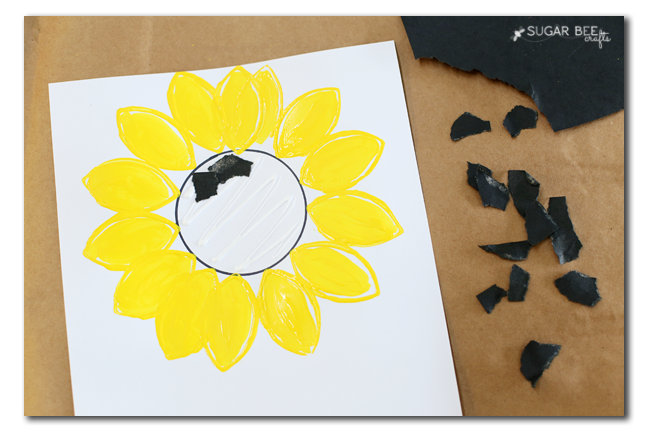 After the petals are complete, fill the center with glue lines. 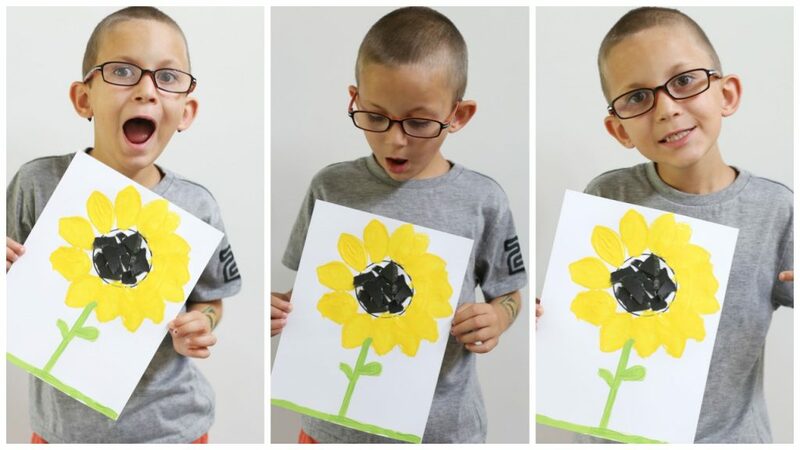 Rip the construction paper into pieces and place them on the glued area. 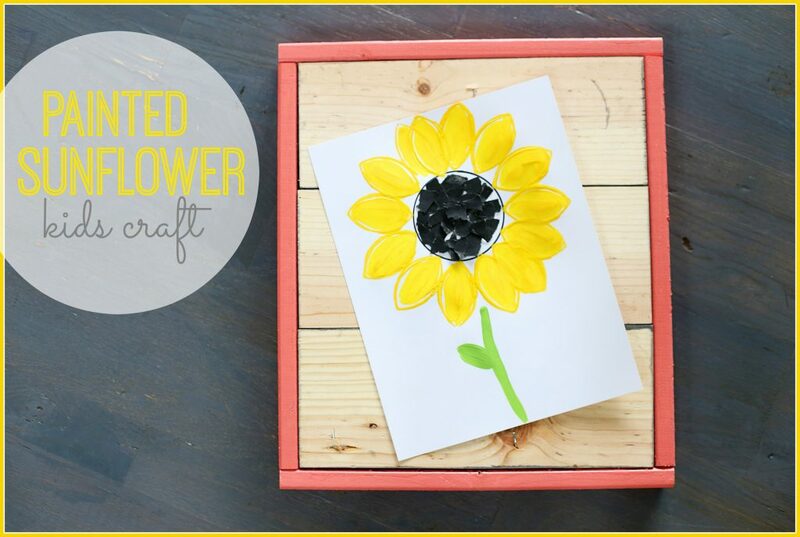 The paper squares add a fun texture to the project. 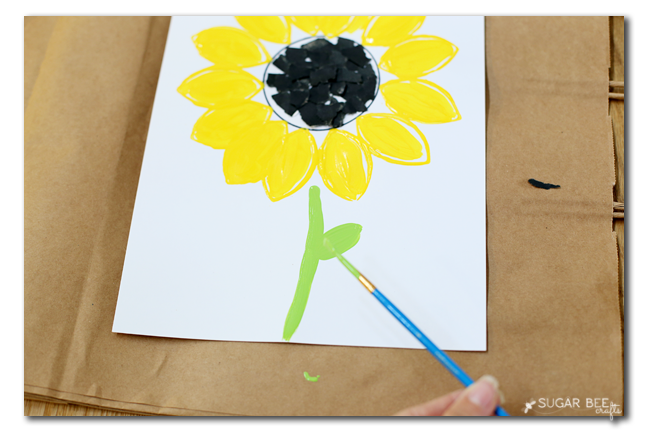 Then you can use the green paint to freehand a stem - that's it!